If you found out how many grams of oud I go through in a day, you’d likely doubt my sanity. Suffice it to say that I said grams (plural). And if you found out what some of those ouds are, you’d need duct tape to hold your jaw in place. We’re talking about oud oils some of which cost me close to $2,000 a bottle to make (and some entire batches I’ve already used up). Some of them I can’t even dream of or dare to release publicly. If you read through my past few blog posts, you’ll know I’m trying my best to milk the oud udders before they go completely dry. With the clock ticking, naturally, I’m trying to go for the best first. But knowing that not everyone can keep up with the ever-increasing cost of high-grade wild oud, I am always hoping and trying to make cheaper batches as well. Easier said than done. I haven’t been able to make more than four such batches ever since I became my own full-time distiller. It doesn’t help that agarwood hunters across the oud-producing world are hanging up their coats. And it most certainly doesn’t help that my main priority is still… old batches of the finest agarwood. If you were merrily hiking in South Africa, and then stumbled upon a massive 2,000-carat flawless chunk of diamond, would you bring it back home and pulverize it into a powder? Of course not. Don’t believe what the gals tell you, size does matter (okay sorry, bad joke, couldn’t resist!). The same goes for agarwood. But the reason why the Chinese, Japanese, and Taiwanese are obsessed with size is not because of the size in and of itself, rather its because a large-sized formation is indicative of decades of oleoresin production+aging inside the tree. Get the carving dust / shavings from these batches of wood, and the oil extracted from it will be far superior to even the finest oils extracted from the most resinated batches of wood coming out from the jungles today. If you shave a sliver off such a piece and heat it, and then compare it to the aroma from a sliver from a younger tree with a younger oleoresin formation (even if the color and darkness of both pieces is the same), you will find the former to be far superior in scent. And therapeutic. Actually, judging merely by color/darkness, for any grade between “AA” and “Double Super” is a terrible yardstick as far as I am concerned. It was born out of necessity for selling to the Arabian market, but I can understand why it happened… any way, that’s another topic entirely; maybe I’ll write up another blog post about it at some point. That’s the name of the game for me. That is what I primarily use oud for personally. This collection of not-so-random random thoughts put into a little blog post, is an appeal of sorts. I am asking you, while high grade oud is still within your reach (and budget), to go beyond just “a nice scent“. Further even than “an awesome scent“. Secondly, for the love of go(u)d, if you’ve been dabbling with only plantation and lower grade wild oud oils thus far (99.99% of what’s available, regardless of the fancy marketing adjectives used), do yourself a favor and at the very least grab tiny quantities of top shelf oud. The neat thing about high grade oud is that if you allow it to become your teacher, it can help you appreciate/grasp/enjoy other well-made oud oils as well. It can even allow you to discern what is truly high grade, and what’s merely an over-priced “nice smelling” oud. And finally, for the love of oud (and then your own health), please PLEASE PLEASE learn to revere this precious wood with the reverence it deserves. For instance, If the wood was molested (i.e. fermented/rotted/defiled by fungi and bacteria aka “barnyard” oud oils), I promise you it affects the therapeutic value of the oil. Sesquiterpenes are proven to cross the blood-brain barrier (yep, you weren’t imagining the ‘high’ from that Merauke), and some oils actually start working their magic simply by sniffing from the bottle as the compounds get absorbed through the nasal tract (admit it, you’ve reached for your bottle of high-grade Vietnamese oud, to calm your nerves just by sniffing the applicator wand). With hard facts proving the therapeutic effects of some of the compounds found in oud on the CNS, limbic and endocrine systems (some even fix DNA “miscoding” at the cellular level), you better make sure you’re buying good medicine when you invest in oud therapy, instead of something tainted with fungi and bacteria, and a plethora of nasty esters formed from rotting the raw material. And please, have some mercy on those around you too. Going out in public smelling like a slaughterhouse, or someone who’s hiding a soiled diaper under their jacket (i.e. wearing abused oud i.e. poorly made barnyard oud oils) ain’t gonna impress anyone. It doesn’t make you macho. It makes people doubt your hygiene. Back in Canada, I wasn’t really privy to the veneration that the Far Eastern (Chinese, Japanese, Taiwanese) cultures have for this precious wood. Sure, I’d smelled my fair share of woods and incenses from Japanese houses. But it was only after I started dealing with these folks, and seeing how they use this precious substance, that I was able to humble myself enough to be able to learn a new thing or two. If you haven’t already, I suggest you do the same. Your nose (and mind, and health, and well-being) will thank you for it. 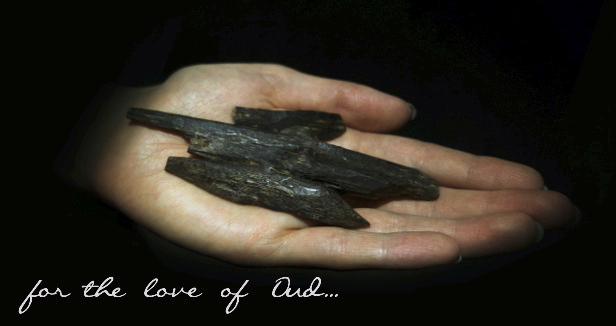 Food for thought: a lot of spiritual traditions heavily utilize agarwood, and for good reason. Now I always keep my opinions on metaphysics, religion, spirituality and things of that nature to myself (they are all highly personal, and so I don’t like to impose them on anyone), but if you’re willing to take my word for it, I can promise you that when you cross a certain quality level, its an entirely different experience altogether. Even the existence of “auxiliary scent notes” can act as deterrents – and by the way, this is the reason behind Agar Aura’s obsession with capturing the purest expression of the oleoresin. And so, even the tiniest presence of the aroma of the wood that housed the oleoresin can often hold you back. Bottom line – if you haven’t already, stop thinking of oud as just a scent. Sure, you can consider its aroma as a measuring stick (awesome oud will always smell awesome), but go beyond that. Try to discern the therapeutic effects of oud, and recognize the different properties of different varieties on your body, mind, and soul. In time, you’ll realize that you not only have a collection of the best smelling fragrances in town, but you have the best smelling medicines. I hope you can take what you learned and spread that info and appreciation in Australia.